- Colour makes a tiny room feel larger, or a spacious one feel more intimate. Bright colours give an illusion or the feeling of more space and the darker or warm colours make the room look smaller. It doesn't really matter if they are warm or cool colours. - However, once you get to the lighter tones, the warmth of a colour does matter. Blues, greens and cool greys are receding colours and they tend to make a room look larger while red, yellow, orange and warm browns are advancing colours. - You can make your space feel cosy by painting the walls with a warm colour, or make a narrow space feel wider by using different colours on opposing walls. The paint colours you choose, as well as the colour of the furniture and accessories, all create a mood. - Trim your colour choices down to those that work with your furniture and non-negotiable elements like curtains, wall art, wall clock or accessories. Check your rugs, carpets, paintings and other items you have for your home. You can use this as basis of your colour. Choose colours that would match them. If you have colourful rugs and curtains, you can get colours from them. The textures from your home decors can make the look more dimensional and even more appealing. - Bright colours like vibrant shades of green and blue, yellow, and orange provide an expansive feeling. These are friendly, happy colours that encourage communication. They are an attention-grabber and may be a good choice for a spot that needs to be emphasized. Consider your location and the amount of light you have as well. Bright, hot colours work well in warm, sunny climes, where the sun diminishes their intensity. Another approach to choosing colour is to take the hue from an object you already own — ideally, an investment piece like a work of art or a rug. If you love the item, then you will usually love the same colours reflected elsewhere in the room. Use the brightest colours from the fabric for accessories and accents like welting, picture mats, and decorative pillows. - Dark colours, such as red, purple, blue, and dark shades of green, can have a constricting and gloomy effect. But when applied in the right place or as accent elements, they can help convey comfort and security. - Warm colours are best used in rooms that face north because they inspire activity. Avoid them in rooms meant for relaxation, like the bedroom. They are more suitable for winter and make a room more inviting and welcoming with tints that set off a reassuring feeling. Intimate spaces are created with the use of warm earth tints that look naturally cosy and comfortable. -Cold colours, such as icy blues and green, have a calming effect. They are well-suited for leisure space; they help you to go to sleep feeling relaxed and wake up refreshed. Use relaxing cool colours can form a relaxing atmosphere. Consider shades of blue, green or even lavender to calm yourself in your escape rooms. When using this technique, remember that the darker the shade of colour you choose, the more apparent the effect. White or pastel shades are effective in giving a cramped space a more open look. Wall and furniture of similar or closely matched colours give a room a wider effect. Delicate colours are perfect for a cooler room effect. They give a fresh, relaxing touch to a room and best suited for summer look. - Put something black in every room as a defining agent. The black clarifies and enhances rest of the colours in the space. 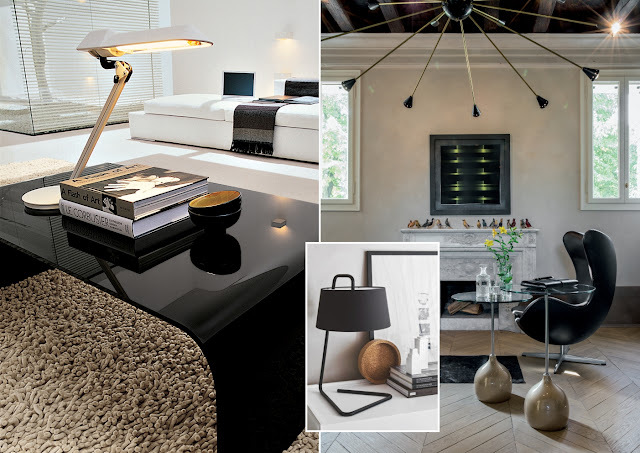 Try a black lampshade, a black vase or a black picture frame. - Avoid the common colour white scheme for the entire room. Although it can add space, it is nowhere near as effective as tinted colours. Using white in accessories is a good idea. - Lighting is an important aspect of all decor and function within the home and should never be overlooked. Light reflects and deflects colour, changing it constantly, throughout the day. A room’s truest colours are those found in the daylight hours and the hues will alter throughout the day and the seasons as the lighting changes. Different lightings can change the appearance of colour as well. Indigo, for example can appear bluer in one room and have much more red in another. Because the lighting makes a big difference to how a colour looks, and how it affects you. Consider how natural and artificial light will affect your colour scheme. Some peach colours may become pink, and yellow can veer off to either the lemon-green or butter-yellow side under different lights. Natural daylight shows the truest colour; Incandescent lighting brings out warm tones and yellows; Fluorescent lighting casts a sharp blue tone. So, a strong colour might be too bright and overpowering when used on all walls or next to a large window, but it might be effective when used as an accent wall with indirect light. - Mix and match patterns: A new trend in décor is mixing and matching materials and patterns, but keeping all within the same colour family. In a living room use one colour for the walls, and then lighten the same colour in throw pillows, accent rugs, and adjacent spaces. The result will be a pulled together look. Feel free to mix up the colour ratios as long as you stay within your chosen colour scheme. Mixing colours can help bring a personal touch to your space. You may use just one or two colours throughout the house, and then mix it up with other accent colours. However it’s also important to understand that different rooms have different personalities, so that also needs to be taken into consideration. For a certain match, pick colours that are on contrary sides of the colour wheel, aka complimentary colours. Besides, you can choose colours you like, say four core colours and maybe two patterns. Combine them and check if they look good together; if not, choose another colour or a different pattern. Try different combinations. Start by selecting one colour or a monochromatic scheme and then add other colours that look good with it. There should be one dominant colour serving as your primary colour and then the others are complementary. This will surely help you choose a good colour scheme for your interior. - Seasonal colour variations are another way to choose colours and a painless way too. Fall colours such as mustard yellows, russets and browns will create a calm and subdued space, perfect for resting. Spring colours, on the other hand, are more uplifting; pinks, light green, lilac and saffron yellow impart a naive, fresh and uplifting look to a room. Create a home with a cohesive look that flows from room to room. If someone were to see your home as a series of snapshots, each room a separate picture jumbled up with pictures of other people’s homes, you want them to know all of your rooms are from the same house. You create that connection with colour. Check if other rooms can be seen while you are on a different part of the house. If it could be seen, you have to make sure that its colour will be coherent with the rest of the house. Otherwise, it will look like a different home. Plan your home’s colour scheme in relation to other rooms based on how much it can be seen from that room. This way, you will be able to create continuity. Plan your colour scheme in relation to how much of each room is visible from another room. - Aside from starting with a favourite colour. A favourite pattern can also do the job. 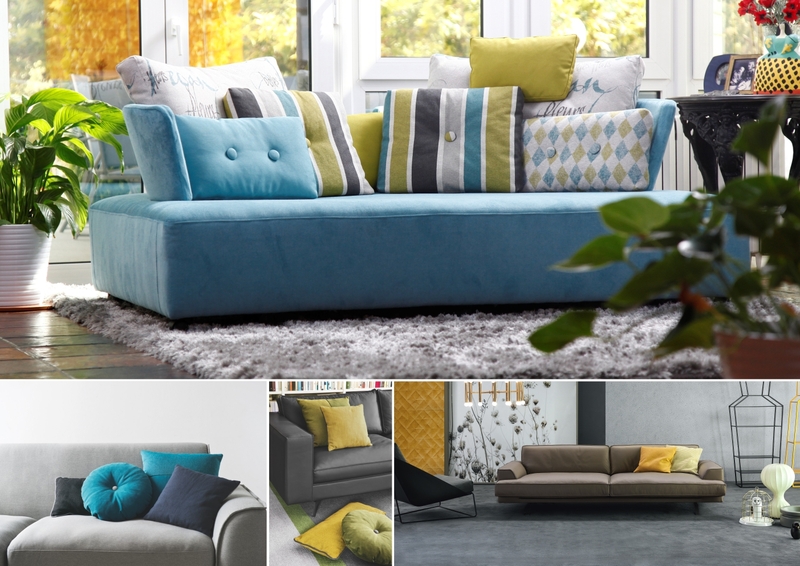 Choose the best pattern that you like and then select colours that would look good with it. If your pattern is colourful, you can pick colours from that. For sure, they would match. You can also try using contrasts to it to make it look even lovelier. - Don't overload your space with too many colours or you will create visual confusion. - Every room serves a different function and usage. It also comes in different sizes and shapes. Hence, you would need different colours for that. Decide which colour would suit a certain room. Light colours are usually used for the walls with darker flooring. For instance, if your room is small, do not use dark colours for it will make it appear even smaller. Use light colours instead. You can add some dark colours as accent but not as a primary colour. - Keep bright, trendy colours to use as accents, so that you can easily and inexpensively change them when their appeal passes. With the vast number of colours available, you could be confused which one to use for your interiors but once you follow the colour scheme, choosing a whole colour palette for your space will be easy and fun. READ ABOUT SIMPLE COLOUR PRINCIPLES TO GET A PERFECT INTERIOR COLOUR SCHEME (PART -1) HERE.